This month, we introduced two new features to our O365 add-in for Outlook, and we’ve enhanced Click-to-Call & email scheduling for Gmail users taking advantage of Touchpoints. Below is the new feature that launched this past week; stay tuned for more updates to come! You’re seconds away from reusable, customizable messaging. That’s right, email templates are now available for O365. Save a library of pre-written emails and categorize them however you want. Get access to useful metrics that show you how effective your messaging is. 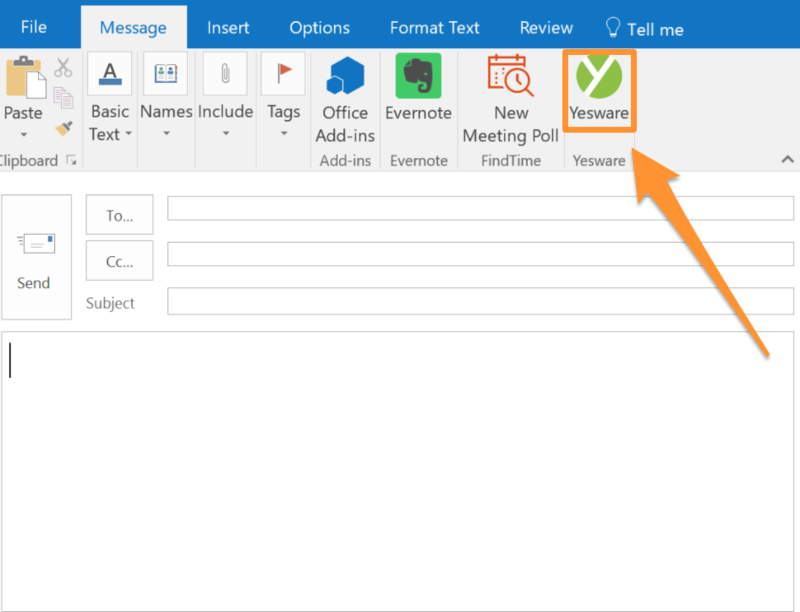 If you’re an Office 365 user on a free trial of Yesware or subscribed to our Pro, Team or Enterprise plans, getting started is simple (if you’re not, click here). Read on for a step-by-step guide with screenshots. In the Yesware sidebar, click Use a Template. Once you choose to create a New Template, add a template name, email subject, and email body with text fields or dropdowns for any information that will change. To quickly insert any of your templates, simply click Use Template and you’re good to go! Awesome, right? 👏👏 Bonus: You can get 18 free templates to copy/paste into your library here. 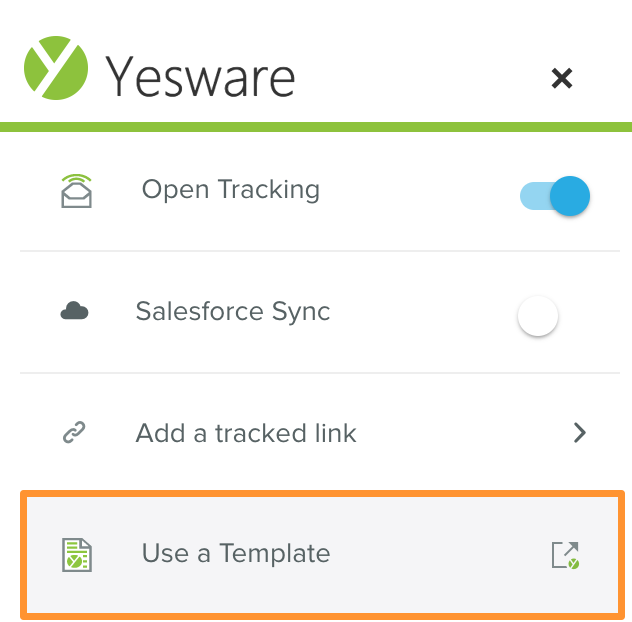 Yesware Enterprise-level users, you can connect your Office 365 email to your CRM so you don’t have to manually log email activities. Why should you check it out? 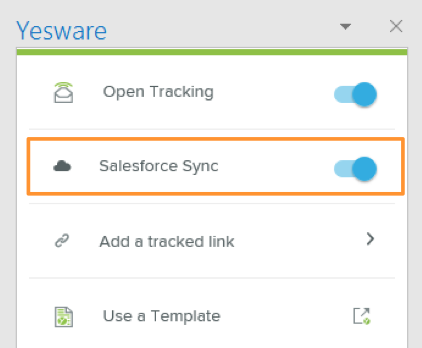 Salesforce integration wins sales reps back at least 30 minutes every day. 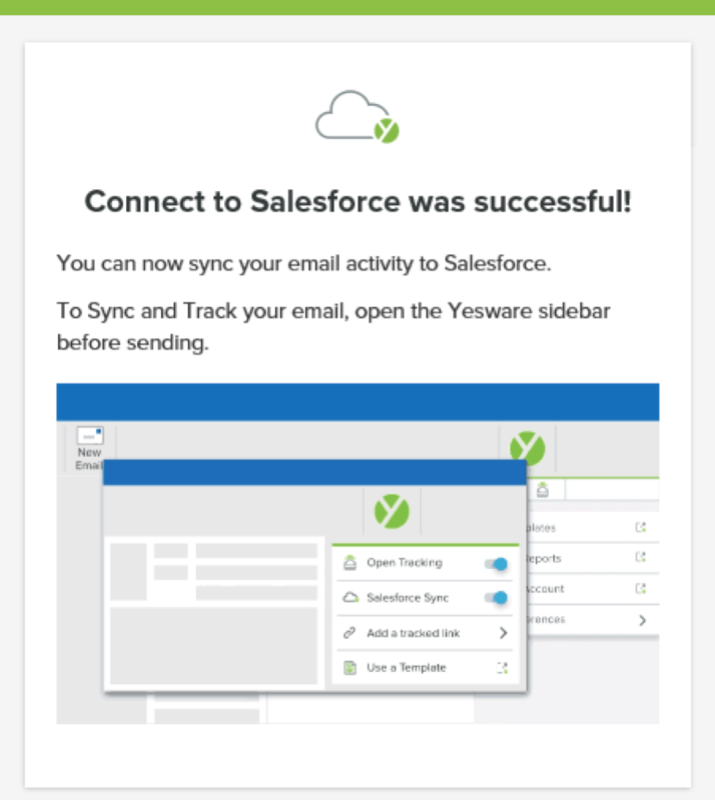 Using the Yesware for Office 365 all of your emails will get sync’d to salesforce. We also automatically sync when your prospects open your emails, click on links or respond. Okay, onto the how…start the clock, because it’s going to be quick. 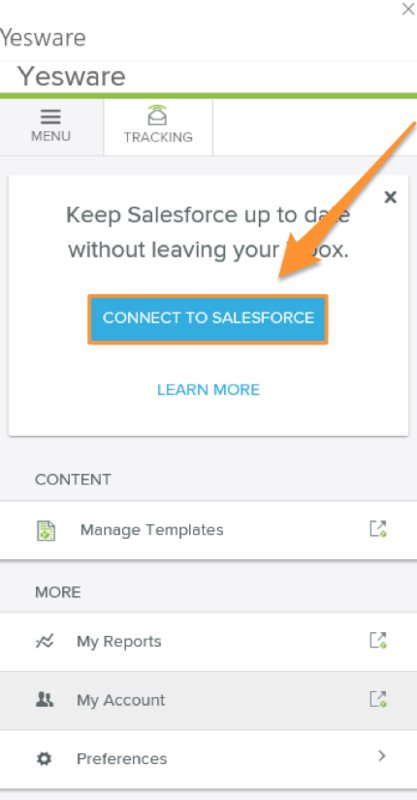 In the Yesware sidebar underneath Menu, you’ll see a button that lets you connect to Salesforce. Click it. Next up for our engineers: adding calendar sync and engagement data (opens, clicks, and replies) to Salesforce Sync for O365. Expect to see that in the next few weeks. 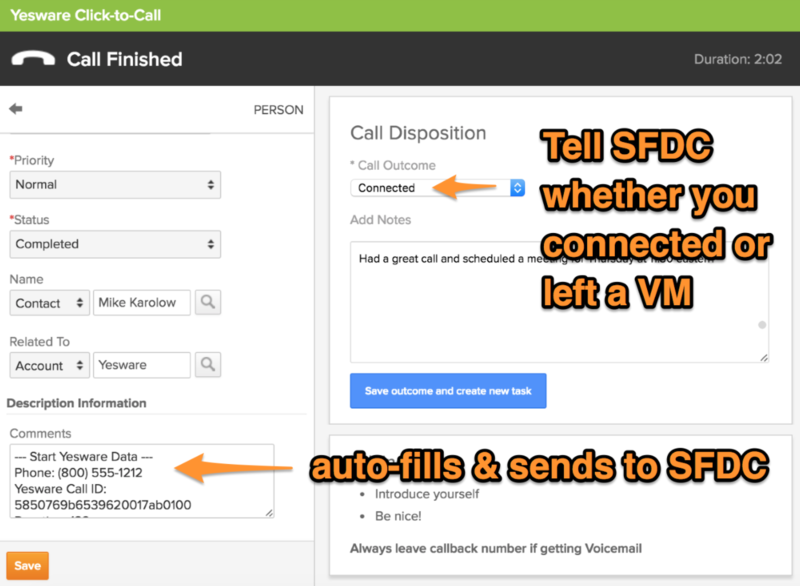 Everything you need to: 1) make a call, and 2) capture the outcome are all in one place. 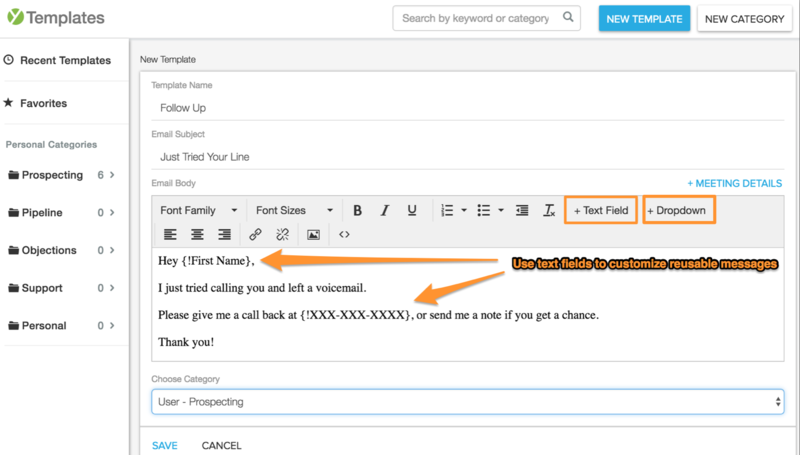 No matter what customizations you’ve made to Salesforce, all necessary information about each call will auto-fill into the comments section and save to Salesforce. You can either use our phone dialer or your own to make your calls; either way, we’ll log and sync your activity and notes for you. What this means: You’re no longer limited to a 10-day window. The future is yours. 2017: You’ll have to wait and see what new features await. Sincere thanks from everyone at Yesware for another great year!